After 9 years together we have decided to take the leap into married life together! It would be our honour to have you join us for our big day. 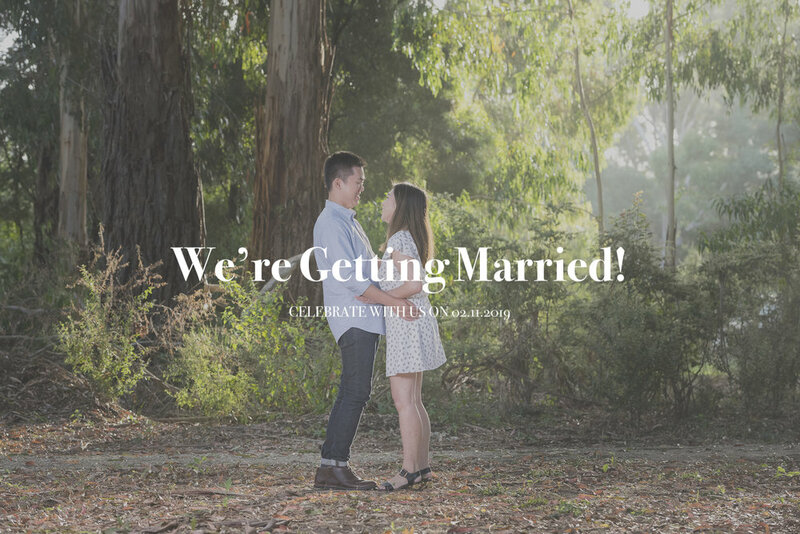 Expect to have lots of fun, laughs and drinks in celebration of the love we have for each other and all of our guests who have supported us through our lives. Please feel free to revisit the details below anytime before the wedding for updates on logistics and times as they become available. Looking forward to see you all there on the 2nd of November! Stones of the Yarra Valley on the 2nd of November 2019. Transport: In the event that you are making your own way to the venue, you are welcome to drive to the venue as there is plenty of parking available at Stones. Taxi and Uber services are minimal in the area so please pre-plan your transport prior to the day. An open booking has been made at the Yarra Valley Lodge for any friends or family who wish to spend the night in the Yarra Valley after the wedding. To place a booking please call the venue (03 9760 3333) and quote “Chau” when making the booking to access the special rate of $226 rate for a Lodge Room for the night. This rate offer is only available until August 2nd so if you intent on staying please ensure you book prior to this date. Transportation will has also been organised to and from the hotel and the wedding venue with details on meeting points and times to come. Your presence at our wedding is honestly the best present we could ask for. If you did wish to contribute to our honeymoon, we’ll have a wishing well there on the day. Love and thanks. Details regarding RSVPs will be included in invitations that will be delivered closer to the date.